SEATTLE - When Fawn Bauer started doing youth outreach at Mount Rainier National Park a decade ago, she made city kids a priority. Most could see the snow-capped icon from their neighborhoods - but too few of them were visiting. So Bauer contacted schools with high rates of students receiving free and reduced-price lunches. She got transportation grants to bring their students, many Latino and African-American, to the 5,400-foot overlook where hiking trails cut through wildflower meadows. The spot is called Paradise. "We don't have to spend all our time saying to them, 'And 50 miles from your home, there's a national park' . . . because they get it," Bauer said. With the Olympic Mountains on its western fringe and the Cascade Range to the east, the Seattle area is at the center of some of the most eye-popping landscape in the United States. 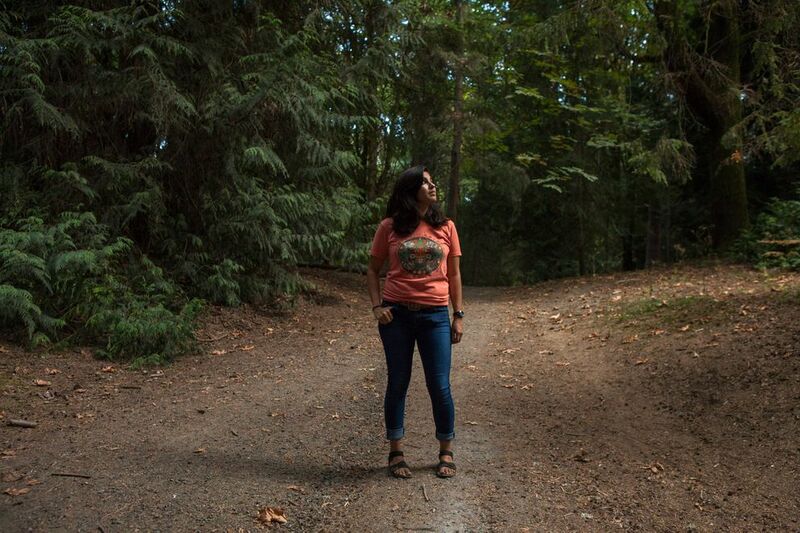 Several million acres of wilderness lie within an easy drive, and in recent years, the increasingly crowded trails here have also begun to reflect a growing diversity - despite Seattle being one of the least diverse major cities in the country. That hasn't happened just by chance. A new wave of affinity groups and meetups for people of color have drawn growing numbers of trekkers, backpackers and outdoor enthusiasts. Facebook and Instagram posts feature photos of Asian women scaling the rocky crags of Little Si in the central Cascades or black hikers celebrating at the summit of Mount St. Helens. Such images spur more interest while challenging the myth that only white people seek the great outdoors. 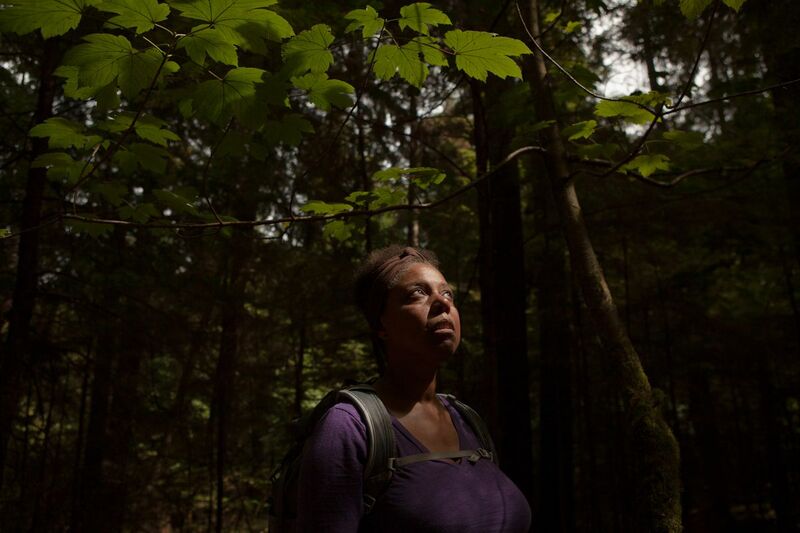 "We can't continue to accept these fairy tales about things that black people don't do, can't do," said Audrey Peterman, an African American environmental leader who, with her husband, wrote "Legacy on the Land" after exploring sites across the country. "There's been a lot of grass-roots work to create this change." And in response to the nation's shifting demographics, major outdoor advocacy organizations and government agencies such as the National Park Service and U.S. Forest Service are forging partnerships with schools, youth groups and these same affinity groups. Together, they aim to reach communities that have been long ignored or underserved. The issues involved have broad implications. The most diverse generation in history will help determine the future of this country's open lands. Yet people who have not used them - who have never seen the vastness of the Grand Canyon, for example, or the towering dunes of Cape Cod's national seashore - may feel little connection and lend little support. There's also a social- and environmental-justice argument for encouraging diversity, noted Tom Vogl, chief executive of The Mountaineers. The century-old conservation and education club, which has members across the Pacific Northwest, offers classes in a range of activities. Those have included workshops for young women, many of them immigrants and women of color. "These places that we've grown to love and that have become such a part of our identity . . . everyone should have an opportunity to experience them," Vogl said. "They shouldn't be just for white people or people of privilege or wealthy people." Part of the national parks' problem around access and equity is rooted in history. Often lost in the official narrative were stories about Native Americans' connection to these treasured sites, or about the role of the Buffalo Soldiers, African-American regiments in the U.S. Army who were among the original park rangers in locations such as Yosemite and Sequoia. For some African-Americans, wild or remote places still hold negative associations with where lynchings took place in the Deep South for nearly a century following the Civil War. Through World War II, Jim Crow laws kept both national and state parks segregated - a legacy they are still working to overcome. In remarks commemorating the National Park Service's centennial in 2016, then-Interior Secretary Sally Jewell acknowledged that the majority of park visitors still looked like her: older and white. "We haven't found a way to connect with the young people of today, who are more diverse, more tech-savvy and more disconnected from nature than ever before," she said. That same year, the parks saw a record 330 million visitors, although there's no way to know who they were. According to a 2018 report by the Outdoor Industry Association, participation among Asians and Latinos in hiking, fishing, mountain climbing and more has increased slightly over the last five years. The Park Service and six other federal agencies now sponsor an initiative entitling all fourth-graders - and their families - to a year's free admission to federal parks, lands and waters. The Every Kid in a Park program, launched in 2015 by President Barack Obama, features images clearly intended to signal the outdoors as an inclusive experience. Its goal is just as obvious: to foster a lifetime of interest, especially among communities that once were not as welcome. A childhood of camping and hiking was what hooked 49-year-old Shamay Thomas, although it was on land her father's family owned in Eastern Washington. Her interest turned urban after her parents divorced and her mother moved her and her siblings back to Seattle. As a young adult, she returned to the mountains to seek the solace she had always found there, she said. About a decade ago, she recalls, hardly any people of color were on the trails. She began noticing a change about five years ago, and she still jokes about her excitement in seeing a cluster of other black hikers - and literally chasing them down to ask them who they were. "We deserve to be in these spaces as much as anyone else," she said recently. Black People Hike, the Seattle-area group Thomas discovered that day, was started by some friends chatting over dinner about why there were so few African Americans on wilderness trails. The Facebook group they formed began slowly, co-founder Dorian Waller said, then hit 500 members. That number has now topped 2,000 - inspiring a sister organization in Phoenix. Dieu Nguyen belongs to the group and to Hikers of Color, which allows her to plan treks with others when she travels out of town. The 36-year-old mother of two hits the trail at least once a week and has summited Mount St. Helens, Mount Hood and Mount Adams. But she never goes alone, having faced some uncomfortable backcountry encounters. For her, the hiking groups provide an opportunity to network but also guarantee natural allies. "It's a way to keep yourself safe on the trails." The push for greater inclusiveness extends to images and messaging. The Mountaineers' Vogl was executive vice president of marketing for REI when the national outdoor retailer and consumer co-op, which is based in Seattle, began tracking the gender and race of people featured in its catalogues and on its website in the late 2000s. 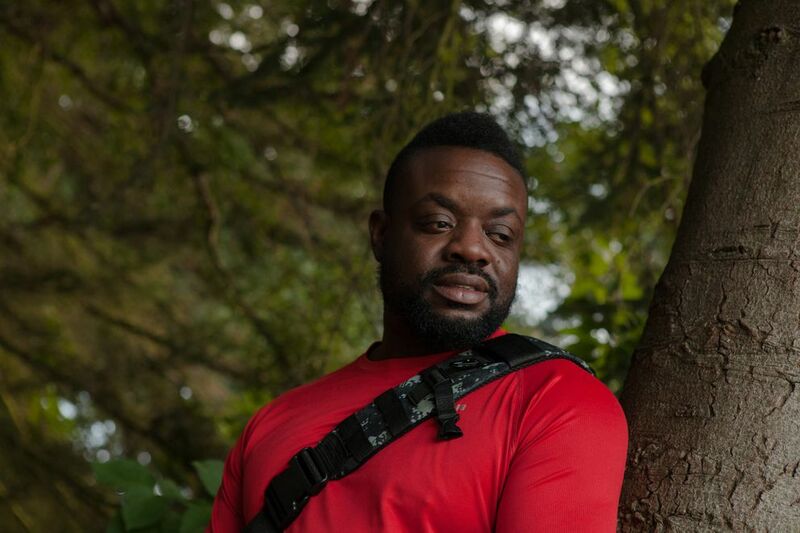 "We started to hold ourselves accountable for making sure that the imagery we were conveying was that all people are welcome in the outdoors, that whether you were black or Latina you could see yourself in our communications," he said. Yet few people dispute that a big gap remains. Along the western slopes of the Cascade Mountains, 140 miles of wilderness stretches to the Canadian border. There, in the Mount Baker-Snoqualmie National Forest, the staff has teamed with Latino Outdoors to provide its members with snowshoeing and hiking adventures. Officials now are trying to track visitor information to get a better handle on who's using forest trails. Recreation planner Sarah Lange, for one, is dubious that the people coming, especially in areas close to Seattle, are "representative of the diversity of the city." So the leadership has engaged scientists from the University of Washington, who are using a combination of social media posts, trail reports and crowdsourcing via text messaging, as well as on-the-ground surveys, to generate real-time data on trail use. The information should help with long-range plans, including how to best accommodate a new generation of visitors, said Spencer Wood, research scientist at the university's Center for Creative Conservation.